It’s that time again—Opening Day for Major League Baseball. Today will see many fans donning their lucky team caps, or perhaps even jerseys, to the office; if they’re lucky, they’ll get to slip out a little early to take in a game with their kids. Buy me some peanuts and Cracker Jack… It’s not only a day of tradition, but of optimism for baseball fans—an entire season spread before them where anything is possible. A clean slate. 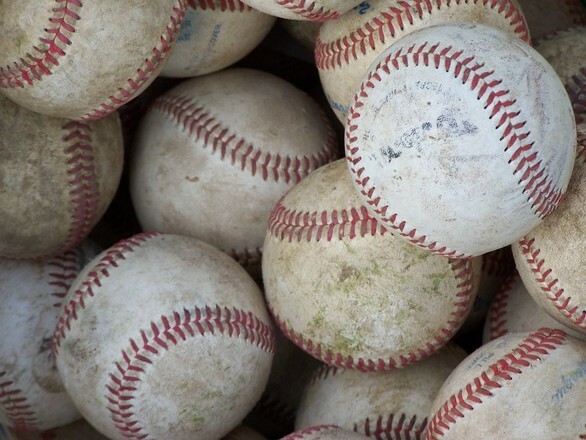 Pension reform is a lot like baseball. It’s requires teamwork, perseverance and commitment. And although we may be down in the count, it’s never too late for policymakers to turn the game around and make a comeback. It also requires fans—those who are impacted by how the game’s played out—to be vocal and engaged. In the case of public pensions, that’s taxpayers and workers. U.S. public retirement programs are an estimated $4 trillion in debt, resulting in tremendous budget challenges for states and municipalities. As more and more pension plans face insolvency, policymakers tend to raise taxes or pull funds from important public services like education, public safety and transportation to pay down pension debt. If we’re going to fix the pension crisis, it’s imperative that we make our voices heard so that taxpayers receive the services they have paid for and public employees receive the benefits they have earned. And though advocating for pension reform may not be as enjoyable as taking in a ball game, it’s nonetheless extremely important. After all, it was the great Jackie Robinson who said that life is not a spectator sport. We should all be on the field, instead of in the grandstand, anytime we have the chance to make a difference. The Retirement Security Initiative marshals and organizes a broad range of resources to help taxpayers, workers and policymakers learn more about public pensions and engage on the issue with other advocates. There’s a wealth of information on RSI’s Web site and social media pages, Twitter, Facebook and LinkedIn, that offers insight into how the U.S. came to be in this $4 trillion hole, as well as ideas on policy options so that we can begin digging our way out. As the saying goes, nothing is given…everything is earned 90 feet at a time. And for pension reform advocates, there’s no better time than the present to play ball. Leaders who take on pension reform know that it’s difficult work. But through collaboration and perseverance it can be done. Chicago Mayor Rahm Emanuel is the perfect example of this. In 2014, warning that the city’s pension funds would be insolvent in 15 years, he was able to pass pension reform that would have gradually put hundreds of millions of dollars a year more into two of the city’s four fledgling pensions. He did it by successfully working with Chicago’s labor unions and getting the majority of those affected by the reforms to support the changes. Mayor Emanuel’s reform efforts were dealt a tremendous setback last week when the Illinois Supreme Court struck down the city’s pension plans, which has already started a ripple effect of negative consequences. In the short-term, Fitch Ratings lowered Chicago's credit rating to just one step above junk almost immediately following the decision. Moody's downgraded the city's credit rating to junk in May, citing pension concerns. In the long-term, the city will have to look for revenue elsewhere to pay for its staggering pension debt, which will more than likely fall on taxpayers. Last week’s decision highlights just how difficult it is to achieve retirement security for public sector workers. Even when government and union leaders came together and agreed on a path forward, their work was too easily swept aside. Retirees, workers and taxpayers are all worse off with the decision. But we applaud Mayor Emanuel for getting knocked down and getting right back up. 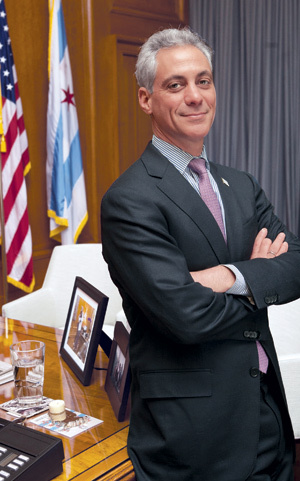 He has vowed to continue working with the city’s labor unions “on a shared path forward that preserves and protects the municipal and laborers' pension funds, while continuing to be fair to Chicago taxpayers and ensuring the city's long-term financial health." And that’s why Mayor Emanuel is RSI’s Hero of the Week. A recent California Appeals Court decision demonstrates that the California Rule is not all powerful. Public employee unions routinely assert that all aspects of public sector retirement benefits are protected from the first day of employment and they can never be modified, except to sweeten the benefits. Although dubbed the California Rule, it is followed by a dozen or so states. The case is a welcome legal victory for pension reformers and taxpayers. As the Court of Appeals pointed out, those who assert that a benefit is a vested right have to carry a "heavy burden of demonstrating a clear intent" that the legislators intended to create a vested right. The Alabama public pension system is broken. The state pays more than $1 billion annually—requiring huge, ever-increasing cash infusions from Alabama taxpayers—and yet the debt still continues to skyrocket. For every new employee the state hires into the current system, it makes a lifetime pension commitment in which it doesn’t have the funding to guarantee. It’s a never-ending cycle that requires taxpayers to continually dump money into a system that has no hope of catching up. Simply put, the system needs to be fixed. That’s why the Retirement Security Initiative this week is recognizing six members of the Alabama Legislature’s Joint Committee on Public Pensions. In a 6-2 vote, these members last week recommended structural reform to the state’s pension system, specifically a cash balance plan, which would be implemented for future state employees. The legislative members include: Sen. Paul Bussman, Sen. Trip Pittman, Rep. Danny Garrett, Rep. Lynn Greer, Rep. Jim Patterson and Rep. Phil Williams. Recognizing that Alabama needs a system that is much less risky for taxpayers, but still works to ensure adequate retirement security for public workers, these committee members voted for a cash balance plan, which has proven to be fair and stable in other states and won’t cost any more than Alabama’s current plan. At a minimum, the cash balance plan cuts future risk in half, while guaranteeing a 4 percent return (right now the pension system is guaranteeing 8 percent returns and taxpayers are making up the difference when the market falls short). The plan eliminates most of the risk for taxpayers going forward while ensuring that new workers have adequate retirement security. The committee last week also agreed to other recommendations on pension governance and financial transparency in an effort to get the state’s pension system back on track. Their goal is to keep the promises made to current public employees and retirees, while protecting Alabama’s taxpayers. The Alabama Public Pension Committee members are RSI’s Heroes of the Week for their work toward more sustainable pensions and a fiscally responsible state government. 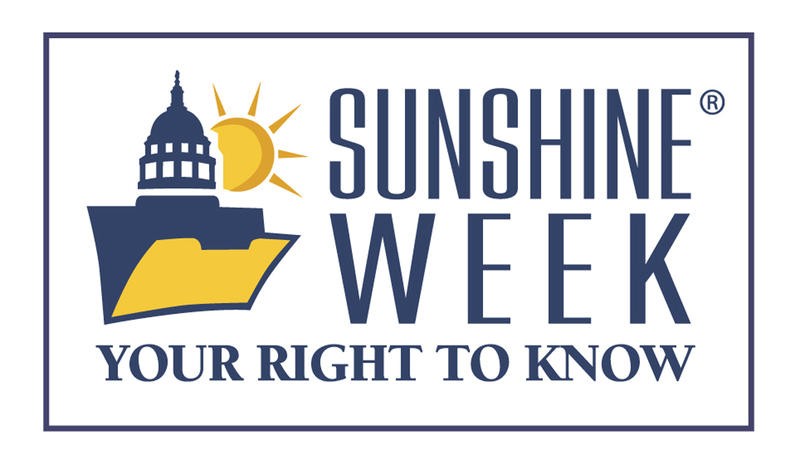 In celebration of Sunshine Week, the Retirement Security Initiative honors and thanks the many people and organizations that bring transparency and openness to our government—not only this week, but every week. Among those are countless reporters, civic groups, schools, non-profit organizations and policy leaders who work diligently to make government more accountable, responsive and accessible to the American people. When it comes to opening the books on government, we find that unfunded pension liabilities are usually one of the biggest drains on state and municipality budgets. Take California, for example, which this week made public (thanks to new accounting standards) that its local governments are actually tens of billions of dollars more in debt than previously realized because of hidden unfunded actuarial accrued pension liabilities, which are now required to be added to the balance sheets. And then there are situations, either through simple mistake or blatant misappropriation of taxpayer dollars, where hefty, unearned pension payments have gone unchecked for years. But through citizens’ Freedom of Information Act requests and efforts by various groups and policy leaders to make pension data public, we are starting to have a better understanding of some of the reasons that have caused our current pension crisis. Take, for instance, Ohio Treasurer Josh Mandel who was successfully able to get all of the public pension funds in his state to post their spending online at OhioCheckbook.com, allowing all Ohio taxpayers to see how their money is being spent. The Retirement Security Initiative believes that decision making and management of public pension plans should be open, transparent and non-political. And thanks to Sunshine Seekers, this important information is becoming more public every day. 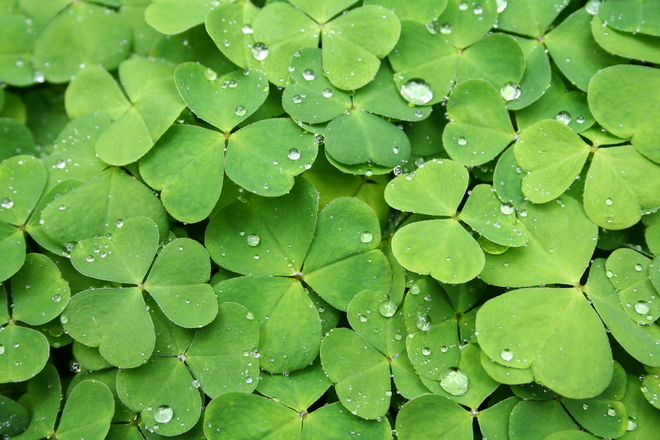 The Irish proverb goes, ‘May there always be work for your hands to do, may your purse always hold a coin or two,’—a sentiment we’d wager most everyone shares. Unfortunately though it takes more than good luck and well-meaning thoughts to achieve a secure financial future, especially when unfunded public pensions factor into the equation. Whether a public worker or private employee, most all Americans are impacted by the public pension crisis facing our nation. Totaling an estimated $4 billion debt, state and local unfunded pension liabilities are costing taxpayers big. Just this week in California new accounting standards show the state’s debt to be significantly higher than previously realized with the addition of pension debt. Los Angeles County, for example, carries more than $8 billion in unfunded pension liabilities, bringing its projected long-term debt to $20 billion. Unfortunately, crippling pension costs are not only limited to the Golden State; much of the nation is facing tremendous budget challenges because of the escalating debt. Just look at states like Illinois, Pennsylvania and Alabama, and cities such as Chicago and Detroit–all in budgetary trouble because of unfunded pension liabilities. As pension debt continues to go unchecked, policymakers tend to pull funds from important public services like education, public safety and transportation to pay it down. And when that doesn’t do the trick, they tend to raise taxes. Growing pension debt not only costs taxpayers, it threatens the solvency of public employee retirement plans, putting at risk the hard-earned savings of many workers. Retirement plans should place employees on a path to a secure retirement. To do that, policymakers need to stop over promising and underfunding employees’ retirement futures. It’s pretty straightforward really, a simple lesson we all learned in adolescence, the importance of living within our means. Pension benefits should be fair, sustainable and transparent. Employees should get every cent they earn and taxpayers should get all they pay for, and not be overtaxed for a system in need of reform. In short, all workers deserve safe and secure futures, and ‘a coin or two’ in their pockets. One of the biggest problems with defined benefit pension systems for public employees is that most of the decision makers have an incentive to over promise and underfund. This incentive structure affects politicians and union leaders all over the country who can’t resist giving or getting a benefit today that will have to be paid for by someone else far in the future. These types of governance issues are often missed in the debate about what can and should be done about the skyrocketing retirement costs for public employees. A report published last week by the Manhattan Institute highlights a significant challenge that many states and municipalities face, but is rarely ever addressed, which has helped lead to today’s public pension crisis: the role of pension boards. Although there are overwhelming efforts throughout the country to reform pension systems and reign in the nearly $4 trillion in U.S. pension debt, the issue of how many public pension boards are assembled and how they govern sadly remains neglected. And until this important piece of the puzzle falls into place, true pension reform in many parts of the country cannot be obtained. As the report points out, the governance and makeup of public and private pension systems vary drastically—and in most scenarios, private systems always come out on top. For example, the diversity in public pension board composition leaves much to be desired, where in some cases there is only a single public official that administers the plan, or in other cases where a board is dominated by members whose self-interests often outweigh those of plan beneficiaries. Another example of how public and private boards differ is the amount of power that each typically wield. 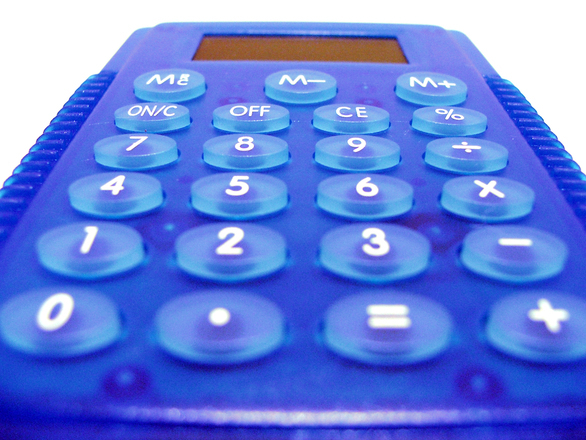 According to one survey cited by the report, 88 percent of government pension boards exercise direct authority over the investment decisions of their funds, and 89 percent control their funds’ actuarial assumptions, both of which are key components in calculating the funding levels and risks that a plan faces. This substantive decision-making power left in the hands of people who lack expertise to make such important decisions spells disaster. On the other hand, the federal Pension Protection Act ensures that private pension holders are protected by limiting pay outs when a plan is less than 80 percent funded, by using market-based discount rates based on high-quality corporate yields and by mandating that plan sponsors have to make up shortfalls within seven years. Perhaps if such mechanisms were in place in areas like my home state of California, which has the largest public employee retirement plan in the country, taxpayers would not be faced with billions of dollars in unfunded liabilities. According to the report, “Some of the largest public pension funds, including those for California employees and teachers and those for New York City and state employees, have placed substantial emphasis on social, political and environmental concerns in managing their portfolio investments,” so much so that they’ve set themselves up for failure. And until many states and municipalities change the way their pension systems are governed, we can expect more of the same. A report released this week by Transparent California shows Fresno’s pension program has a surplus of $289 million. This is big news for a state that’s swimming in an estimated $300 billion worth of unfunded pension liabilities. Further, areas surrounding Fresno also find themselves in deep water when it comes to pension debt. For example, Fresno County’s unfunded pension liability is $980 million, Madera County’s is $136 million and King’s County is $82 million. “It’s nice to see a system just doing something right,” says Fellner. And RSI couldn’t agree more. Promising only what you can afford to pay and paying for all that you promised is rare but commendable. So, our hats are off this week to the City of Fresno and its retirement system administrator and board members, public officials and labor leaders who have contributed toward its long-term goal of maintaining a healthy and sustainable pension for its employees while looking out for its taxpayers. The bull market this week celebrated its seventh year, with $16 trillion in gains since 2009. Unfortunately, though, a seven-year bull market has not eased the burden for many public pension systems throughout the country. In fact, state and municipal public pensions remain woefully in debt at an estimated $4 trillion in unfunded liabilities. If the steep cost that taxpayers are already paying is not alarming enough, picture what will happen if we are suddenly faced with a bear market. A state pension that is expecting an 8 percent return will instead be faced with a 20 percent loss. It would take 56 percent investment returns the following year to close this new 28 percent hole. Since such returns never happen, nor are they expected to, taxpayers are forced to shovel in even more money to fill the hole. History shows that as government pension plans face insolvency, policymakers tend to increase taxes and/or pull funds from important public services like education, public safety and transportation to pay down pension debt. Further, over the past few years, taxpayer funded pension contributions to cover market losses have skyrocketed. If the market continues along its current trajectory, unfunded pension liabilities will only get worse, requiring more tax dollars to clean-up the mess. So while a few investors this week may be celebrating their tremendous gains, there will be no fireworks, balloons or cake for many public pension holders whose hard-earned savings are at risk, nor for the taxpayers who have been left picking up the shortfall. It's always a big deal when policymakers, labor and management come together and find meaningful solutions to contentious fiscal issues, especially when those issues involve public pension systems. As unfunded pension liabilities continue to skyrocket across the nation, reaching at least $2 trillion, consensus among stakeholders for reform should no longer be the exception but the rule of thumb. And we need to look no further than Arizona's sweeping overhaul of its statewide public-safety pension system to see how it can be done. To read more of the Reed/Liljenquist opinion piece, click here.